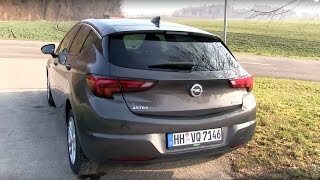 At the 2015 Geneva Motor Show, Opel shared the details of its all new Opel Astra 2016. The model is housed with lots of tech features inside a body that portrays aggression. Not only has this company also introduced new line of engine options for the buyers of this new release. 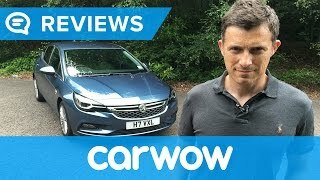 Let us have a look at the review of Opel Astra 2016 to know in details about it. 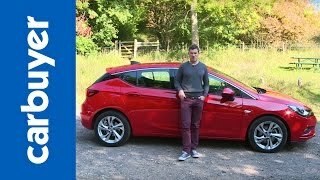 The interior of Opel Astra 2016 ditches the exterior looks of the model and offers its buyers lots of space. The newly designed seats offer some extra space in comparison to the model it replaces and thus takes a lap ahead. The Center Console gets limited switches and controls and thus the new look makes the cabin look more arranged while the three-spoke steering wheel comes mounted with multi-functions. The essence of brushed metallic touch could be easily noticed over the door handles, dash and center tunnel. The model holds the privilege to be the first ever Opel with Opel OnStar featuring, roadside assistance, 4G LTE mobile WiFi connectivity and connection to up to seven devices. In addition to this the IntelliLink infotainment system brings for you the compatibility with both Android Auto and Apple CarPlay. Each of these can be well used through the eight-inch screen mounted on dashboard. In the entire spacious cabin loaded with upgraded technology makes the interior of Opel Astra 2016 worth long stay. The exterior of Opel Astra 2016 features a lean design giving the model an athletic touch. The exterior has been designed to serve the low-weight purpose and to be mentioned they commendably did the task. The front end of the model has double chrome bars connecting the headlights while the grille gets redesigned and features a slimmer proportion. Moving towards the rear end you’ll notice smooth crease all across that give a new look to the model and make it more appealing. The rear end is also designed to feature elegance. The main attraction is with the lights that incorporate 16 individual LED segments to enlighten up your path. The lights also are integrated with the ‘Opel Eye’ feature that makes the entire model automatically activate the high beams. 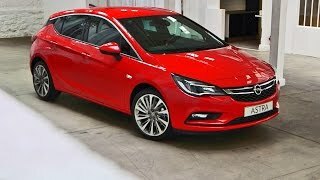 Thus rounding up the exterior details of Opel Astra 2016 I would say it isn’t just about looks but also has tech features making your ride experience better. 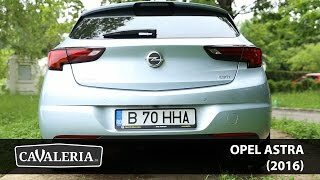 Beneath the hood of Opel Astra 2016 will be new line of engine options. The details are yet to be revealed but we do know that the list will include; 1.6 Liter CDTI diesel, 1.0 Liter Ecotec and 1.4 Liter Ecotec engines. However the performance figures of Opel Astra 2016 are still on hold but we expect them to be out by the end of the year.